We are a network of nearly 11,000 stormwater professionals from within the Chesapeake Bay Watershed and around the world! Through this expansive network of individuals, we are able to align and integrate the efforts of thousands of individuals working on stormwater management across the Chesapeake Bay region. 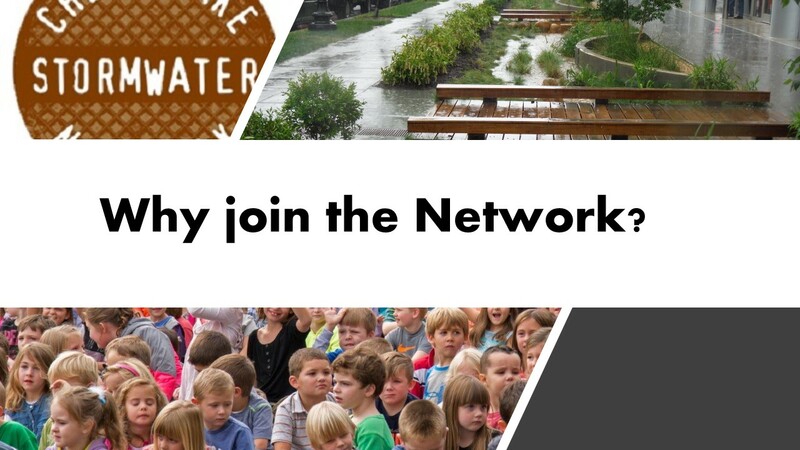 Join the Network and be the first to receive notification of newly developed technical resources, free training opportunities, statewide regulatory updates and Chesapeake Bay Program stormwater alerts. You can also help share your experiences with effective practices and programs, provide peer review on innovative practices, weigh in on critical stormwater legislation and regulations, participate in state and regional stormwater surveys, and help spread the sustainable stormwater message in your community. Joining is simple and FREE, just like all of our resources! To learn more about who we are, check out the summary results of our 2017 Network Survey here – a big THANKS to everyone who filled it out!! Summary results from CSN's annual network survey, completed in September, 2017. A map of all of the places we have worked in the Chesapeake Bay watershed over the last two years. The Chesapeake Stormwater Network (CSN) runs the Chesapeake Bay Stormwater Training Partnership (CBSTP) which is a collaborative effort with the Center for Watershed Protection, Stormwater Maintenance Consulting, LLC, and the Alliance for the Chesapeake Bay to provide free, targeted training to stormwater professionals throughout the Bay watershed in order to address the stormwater problem and improve water quality in our streams and rivers and ultimately the Chesapeake Bay. We offer training to promote better design, installation and understanding of Low Impact Development (LID) stormwater practices at existing, new and redevelopment sites throughout the Bay. All of the resources are archived and available for free download on our website! CSN also serves as the Stormwater Technical Coordinator for the Chesapeake Bay Program (CBP). As the urban stormwater technical coordinator, CSN is responsible for facilitating urban BMP review panels,or “expert panels”, which establish pollutant removal rates for urban BMPs for use in meeting the Chesapeake Bay TMDL. The panels use data from existing scientific research, lifecycle concerns (i.e., maintenance etc.) and other real world implementation issues that would have an impact on the amount of pollutant removal a BMP can realistically achieve. The panel findings ultimately result in a set of recommendations that are presented to CBP’s Urban Stormwater Workgroup (USWG) a committee that has been tasked with facilitating the implementation of stormwater controls at the local level to meet the Bay TMDL. Once the USWG accepts the Urban BMP Review Panel’s recommendations, they are then passed along for further review by two more committees: the Watershed Technical Workgroup (WTWG) and the Water Quality Goal Implementation Team (WQGIT). After the WQGIT approves the recommendations, they rates become final and are then available for localities and states to use toward meeting their Bay TMDL allocations. Phew – that’s a lot of committees!! But it really is exciting work, as we are at the nexus of where scientific research, policy and real-world implementation meet!